The Don has evolved over time to become the one and only almighty Don bag. 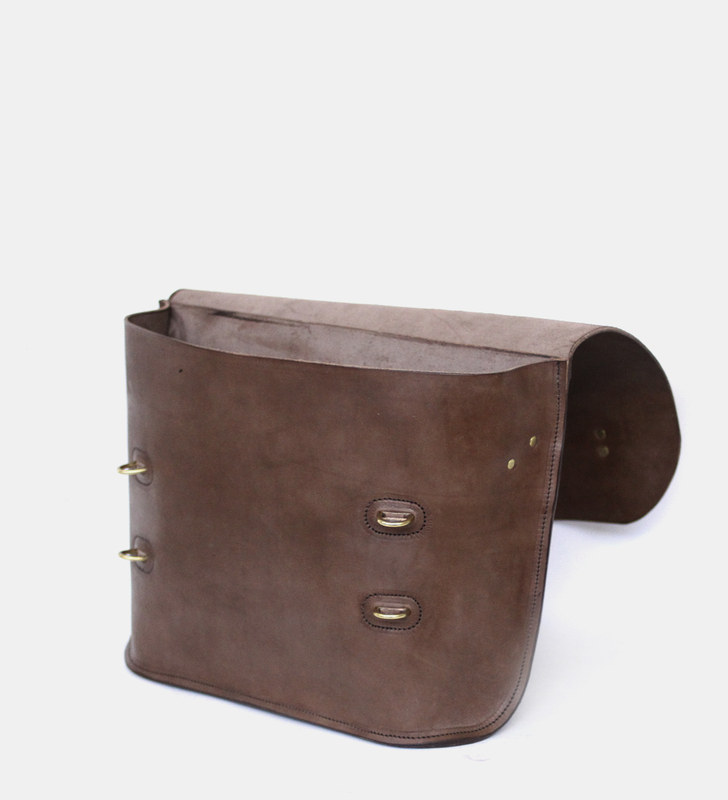 He is made in the style of a bicycle courier bag from vegetable tanned Victorian bovine leather and comes with brass or stainless steel fixtures. 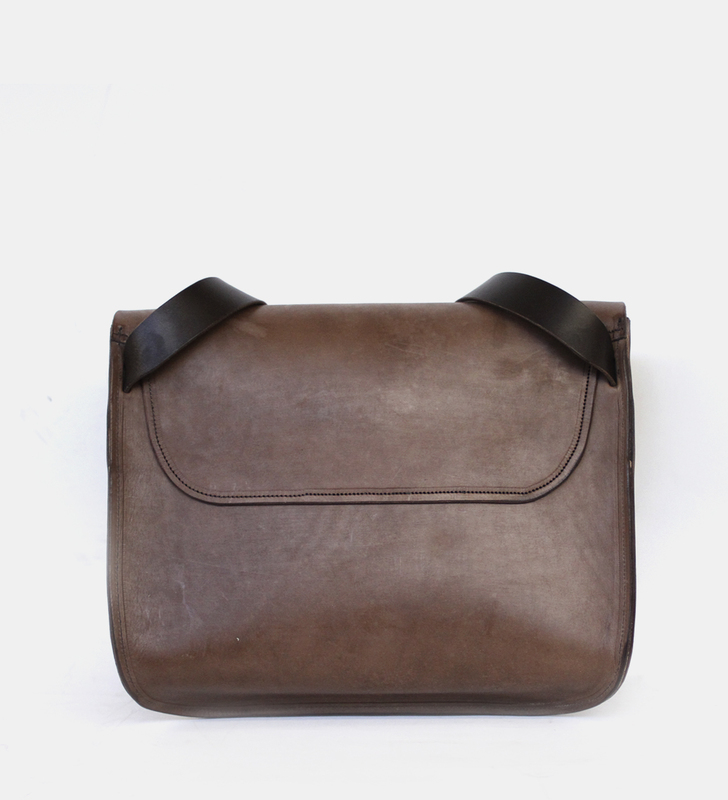 It is designed to sit comfortably on your body and has plenty of space to carry devices and general things. 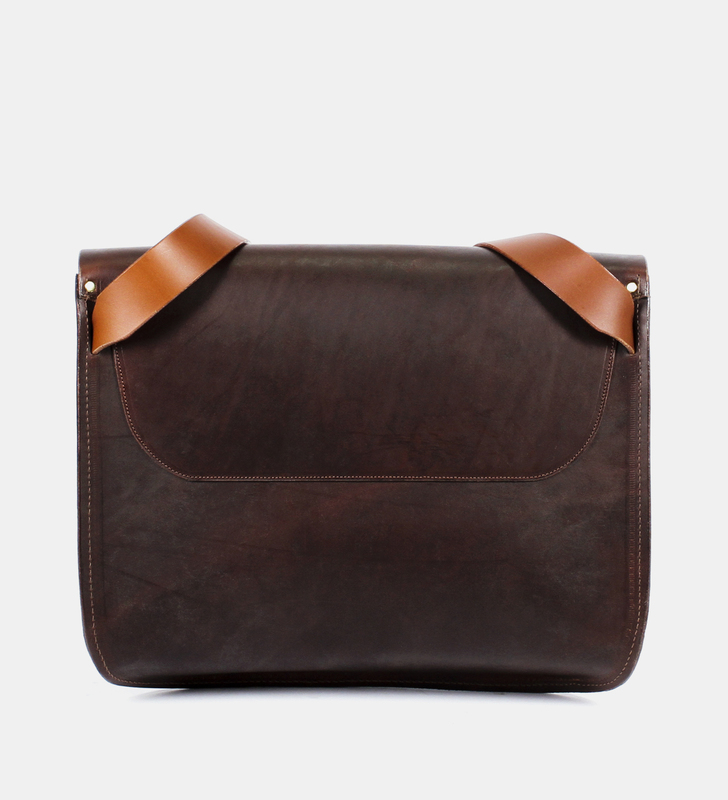 The Don comes with a fixed shoulder strap. 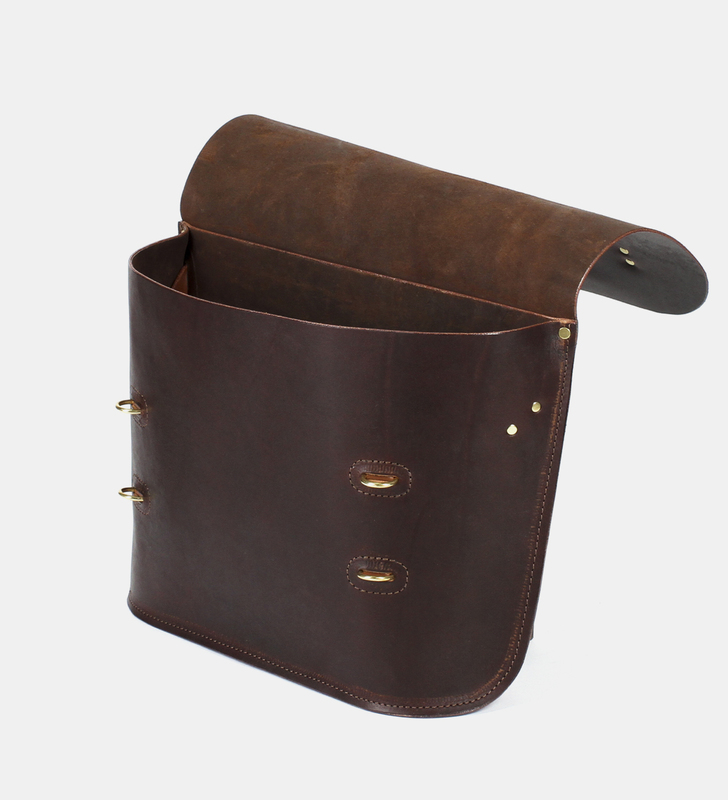 There is also an elastic strap at the back of the bag to hold your device in place. 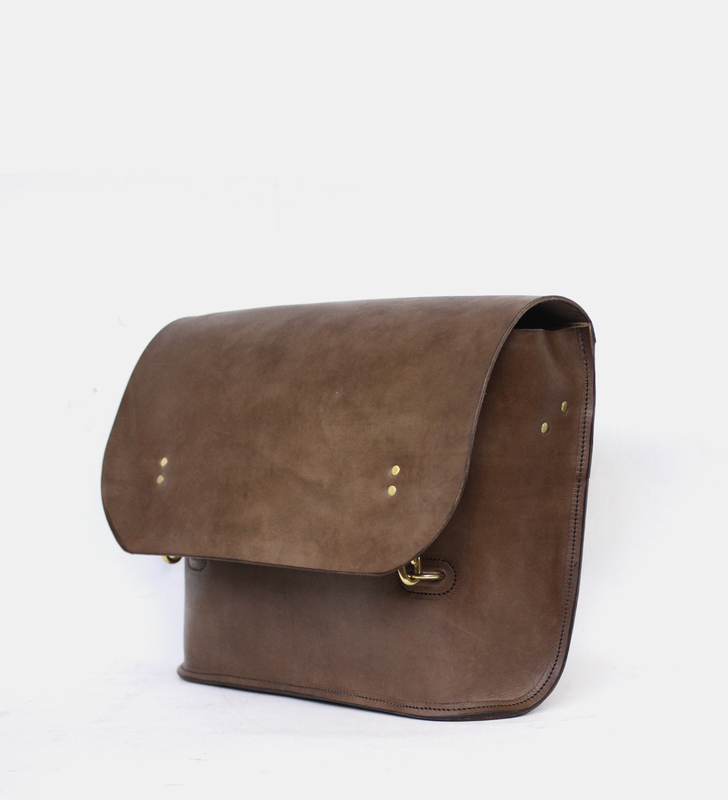 Please note variations in leather colour occur naturally between hide to hide. 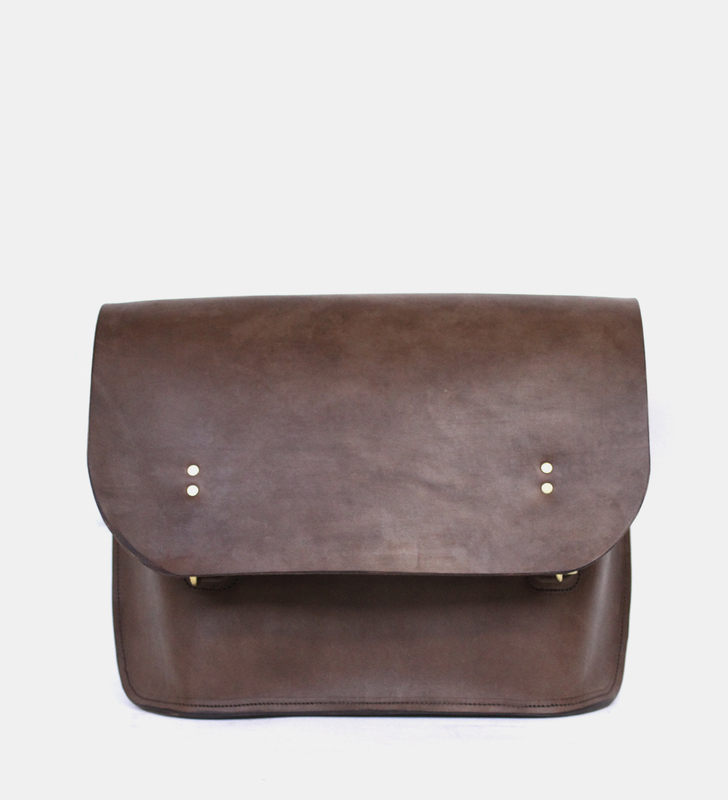 This is most common in the brown colour which is often lighter and more of a milk chocolate hue. The black is also not a deep black, but more of a grey/black and will vary also depending on the time of the year due to the vegetable tanning process. Please note a small ‘Wootten Handmade in Melbourne’ logo is placed on the back panel with current stock. 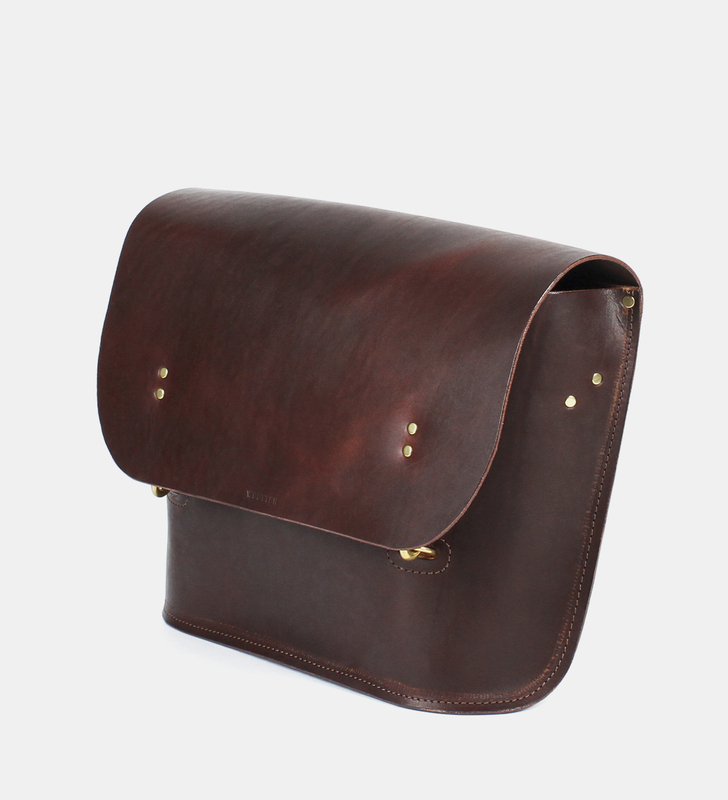 The leather we use for our bags is vegetable-tanned leather from Victoria, which differs to the consistent smooth finish that you find in most commercial bags. 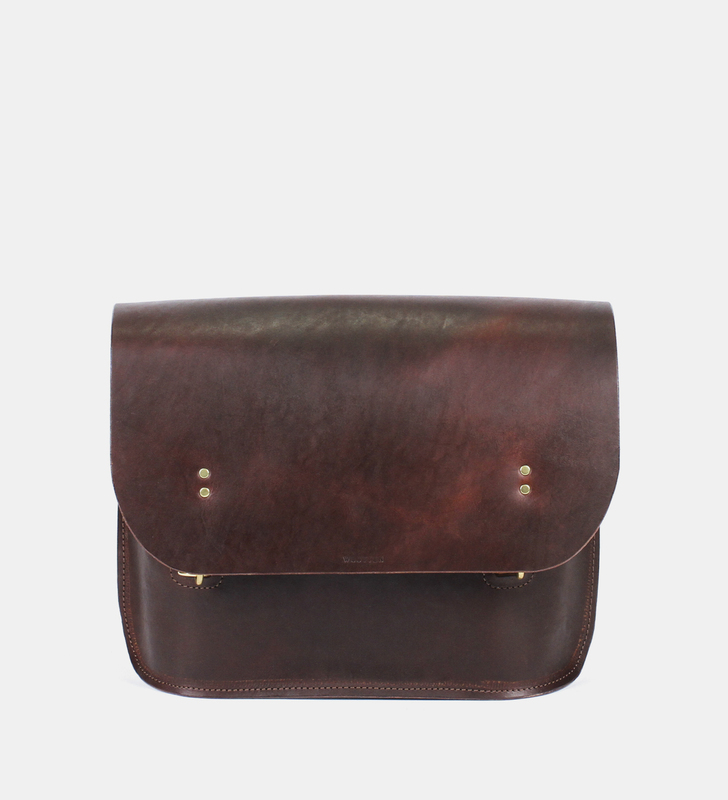 The bag will naturally have character and slight imperfections on the leather which we embrace. The bags once made can be stiff until they are used and worn in where it becomes more buttery in feel. Please allow time for this to develop with this natural material.